HBO’s monster hit “True Blood” returns to Dragon*Con this summer, with appearances by series creator Charlaine Harris and stars Kristin Bauer, Denis O’Hare, Jim Parrack, and Joe Manganiello. Illuminati Warriors must visit many hostile environments to battle the evil of the NETHERWORLD. 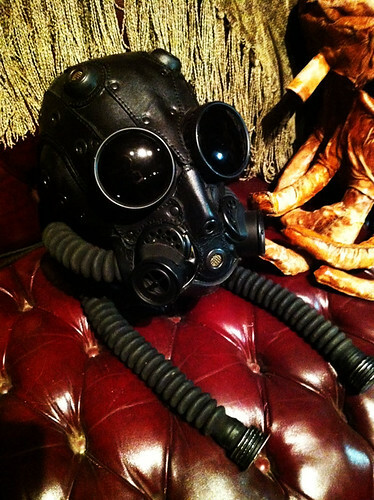 This is the helmet of an EtherNaut who moves between worlds. Brian Demski one of the Talented Artists of Creature Corp made these twisted works of Art. Now residing at NETHERWORLD Haunted House they can be found in many nooks and displays adding to the overall weird vibe of the place!